Filling out the Free Application for Federal Student Aid (FAFSA) is your first step when it comes to receiving financial aid for college. The FAFSA can give you boost toward furthering your education by providing you with opportunities for grants and subsidized and unsubsidized federal loans, based on your financial needs. Don’t miss out on filing—college students who forgo filing the FAFSA miss out on nearly $9,800 in aid money, on average. Your chance to apply for the 2019/2020 FAFSA opens up in October, so get ahead of the game by filing early! Federal student loans are guaranteed by the government and made through the Federal Direct Loan Program—you borrow money directly from the Department of Education at a fixed interest rate. Depending on your needs, you may be eligible for programs such as income-based repayment and deferred repayment plans. With a federal loan, you don’t need to start making payments until after you graduate. Schools use the FASFA to determine your eligibility for federal student loans as well as other forms of federal and state financial aid. What Other Benefits Can the FAFSA Provide? Since some grants and scholarships are first-come-first serve or have early deadlines, filing your FAFSA in a timely manner can help you receive grants and scholarships. The Pell Grant is the most common type of grant for undergraduates, which awards aid money based on the cost of the school you are attending and your ability to pay for it. In addition to the Pell Grant, some state financial aid programs such as The Tennessee Promise require that you complete the FAFSA before applying. Knowing the sources of financial aid is an important part of financial literacy. Be sure to look into your local and state resources for financial aid for possible opportunities. The Federal deadline for filing your FAFSA is June 30th, but each school (and state) has its own deadline, so check with your school’s financial aid office for details. Some grants and scholarships are awarded on a first come, first serve basis—since many require a completed FAFSA to apply, the earlier you file, the better. However, if you or your parent’s financial circumstances change in the meantime, be sure to update your FAFSA to reflect your current financial circumstances. You will need to list at least one school to receive your information. Use the Federal School Code Search to find your school code. Your Social Security Number or Alien Registration Number (if you are not a U.S. citizen). Your federal income tax returns, W-2’s, and other records of income. According to ed.gov, you may be able to transfer your federal tax return information into your FAFSA using the IRS Data Retrieval Tool. Bank statements and records of investments (if applicable). A Federal Student Aid (FSA) ID to sign electronically. For more information on how to create an FSA ID account, visit ed.gov/npas. You may need additional information that you can find here. Once you’ve gathered the necessary documents and created your FSA ID, you can head over to fafsa.ed.gov and start the application process. The on-screen prompts will guide you through the steps. 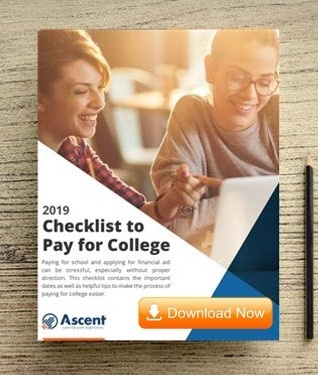 After you’ve answered the questions about your finances and family, you’ll be asked to list the colleges where you have applied or intend to apply for the 2019/2020 school year. You’ll be prompted to list the school codes for each college, allowing you to submit up to ten when applying online. If you haven’t yet decided on which school you plan on attending, list the ones that are possibilities. You can always update your FAFSA later if you change your mind. The schools you list will receive your financial aid information to use in their financial aid programs. Once you’ve supplied your school codes, you can double-check the information you entered and submit your FAFSA. What Happens Once I’ve Submitted the FAFSA? After you’ve submitted it, you may have to submit additional verification information or financial aid forms. It’s a good idea to contact the school you plan on attending and check if they need any additional information from you. 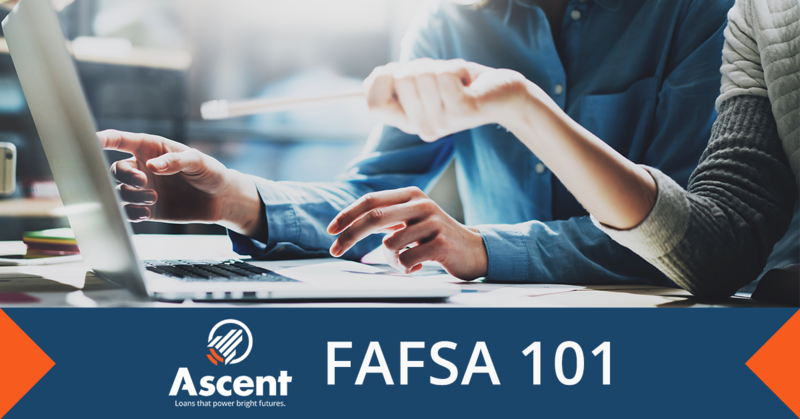 Once your FAFSA has been processed, you’ll receive a Student Aid Report which will provide you with some information about the aid you can potentially get from your school. The actual amount of aid that you receive will depend on your college. after you’ve received your acceptance letters, the school will send you information about your financial aid award package. This will list the number of grants and federal loans you are eligible for, along with any work-study opportunities. If you have had a change in your financial situation that your award package does not accurately represent, contact the financial aid office at your school to make an appeal. To find out more information about applying for loans and to start the FAFSA process, visit the Federal Student Aid website.